Running is undoubtedly one of the easiest forms of exercise. You don’t need to hire any professional trainer, no gym membership required or any equipment needed. You just simply need a good pair of running shoes and your favorite playlist and perhaps a Snickers protein bar for when you are done. Since your running shoes will be your devoted companion, it is important that you’re wearing not just a comfortable one but also the kind that gives your feet the support and protection it needs from running. Now here comes the question that many of you runners ask: How often should you replace your running shoes? Read on to know when is the perfect time that you have to say goodbye to your well-loved running shoes and welcome a new one. Why do you need to replace your running shoes in the first place? You may have been using the same pair of running shoes for quite some time now and ran with you for several races; you have to remember that at some point, you have to part ways with it. Running on a worn out shoes puts you at risk of injury and other types of feet discomfort. As your shoes get older, EVA foam – which cushions your feet from impact –breaks down over the course of thousands of steps. Shock absorption also becomes limited as your shoes get older. There’s no universal rule that applies to all shoes. The lifespan of your shoes depends on factors such as your gait, the type of shoe, where you always run and your body weight. Shoes that are used on harder surfaces will most like to wear faster than those that are worn during workouts on a bouncy track. 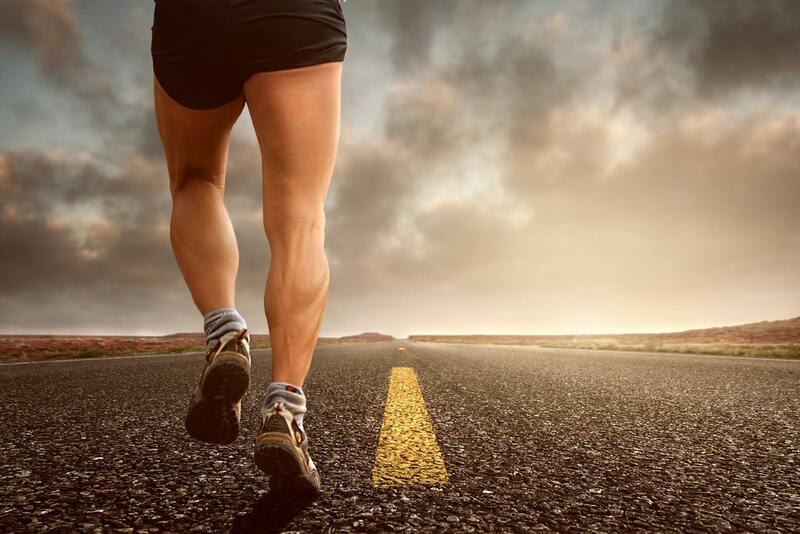 Though most running experts suggest that you should get a shoe replacement when it’s between 300-500 miles of use, how you exactly use them would still be the basis on the exact replacement timing. Are there any signs that you should look out for to determine the condition of your running shoes? There are plenty of obvious signs; wrinkly or compressed midsole foam on the outside of your shoe is the most telltale marker. The foam serves as the shoe’s cushion and you present yourself to a higher risk of injury with every step when the foam is already squished or compressed. Do you feel pains or sore feet during or after you exercise? This is also a red flag that you should pay attention to. Having pains or sore feet is an obvious sign that you’re not getting much cushion and support of the midsole anymore. Keeping track of your shoes mileage will show you a hint of how much you’ve used it and how long do you have to replace it. Got a new pair of running shoes? Write down the date that you first used it to hit the roads. And thanks to technology, there’s no easier way of tracking your mileage. Use apps and programs such as MapMyRun to conveniently log your mileage. When you’re buying a new pair of running shoes, it’s important that you test its flexibility first before cashing it out. Walking and running shoes should be moderately flexible; with running shoes to flex at midfoot or at the arch. Taking the shoe flexibility test should not only happen upon shoe selection. You should constantly check your shoe’s flexibility and test if it’s still giving you the proper cushion and protection. How to take the flexibility test and know that you need to get a new one? Simply hold your shoe and bring the laces up, then bend your toe back towards your heel. It’s time to get a new pair of running shoes if your shoe folds easily. The good news is, you don’t have to get broke just to get a new pair. There are plenty of local retail stores that offer great quality at a much lesser price. Plus, an expert shoe retailer will give you extra tips on how to properly use and take care of your shoes. That’s getting the best value for your money. If you want to increase the longevity of your running shoes, use it for the sole purpose of running only. If you wear different shoes for different activities (road shoes, track shoe, walking shoes, trail shoes), you’re making sure that you’re getting the maximum cushion and support needed by your feet every time you work out. Don’t risk your feet for pains and injury. Get a new pair of running shoes as soon as you see a sign that your current one needs to retire.